Out of print. This pattern was available for free. This pattern can be found for free on my website which contains affiliate links and advertising. 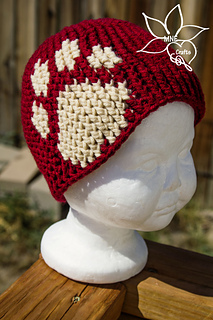 If you’d like to avoid the ads, extra links and referring to the internet as well as be able to easier print the pattern, you can purchase a discounted copy of the pattern, with the image, the graph and all written instructions.